Maha Afifi, Ph.D., Viticulture Research Scientist, California Table Grape Commission. Maha earned her Ph.D. degree in grapevine physiology with an emphasis on anthocyanin biosynthesis and accumulation in grape skins, from Toulouse University, France. After earning her Ph.D., Maha conducted research in Egypt in the field of fruit tree physiology, this research was followed by postdoctoral research in Canada on the mechanism of abiotic stress tolerance in different crops. This broad range of experience allowed Maha to serve as an external examiner for Ph.D. dissertations and carrier promotion degrees in several international universities, and to become an academic reviewer in peer journals. In 2015, Maha proudly joined the California Table Grape Commission to work as part of the viticulture research team. She is involved in a number of viticulture research projects in collaboration with USDA and UC researchers, providing expertise needed to address a number of complex viticulture issues. In addition, Maha is a lead researcher for viticulture research projects related to water management practices and color development in table grapes, to benefit the California table grape industry. Maha’s activities for the SCRI “Efficient Vineyards” project include providing research direction and table grape viticulture expertise, and assisting with data collection. 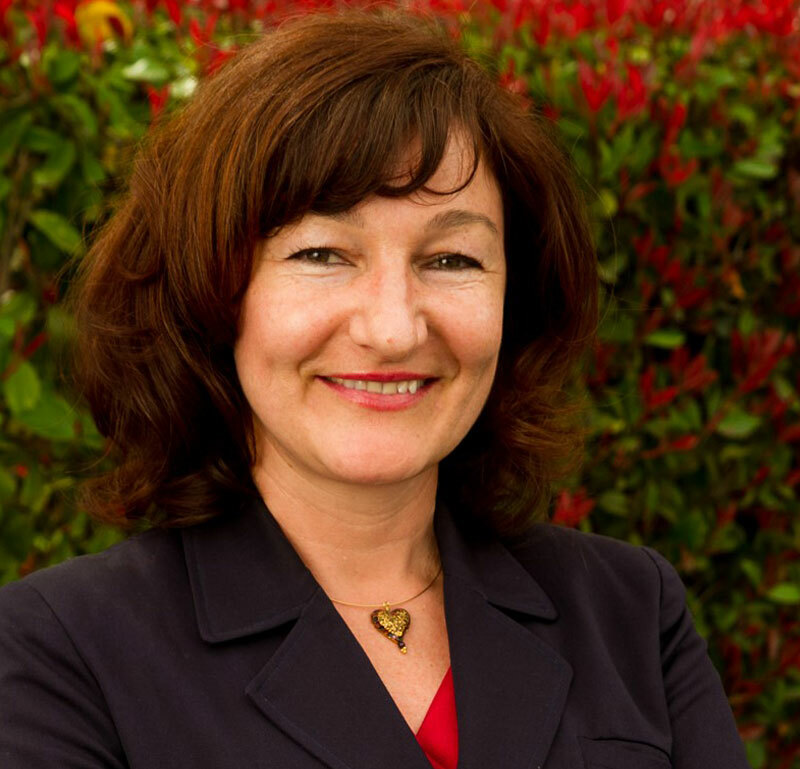 Franka Gabler, Ph.D. is the Viticulture Research Director for the California Table Grape Commission. Since joining the commission in 2010, Franka has been overseeing and directing the viticulture research program – one of commission’s main activities, typically consisting of 20 projects worth over $1 million. The California table grape industry has been funding viticulture research since 1972. Projects range from the development of new rootstocks and table grape varieties, development of best cultural practices, improving pest and disease management, developing irrigation and mechanization/automation strategies for table grape production, and cover many research categories in between. Franka works closely with scientists, especially through invited research projects that address very specific viticulture research needs, priorities and objectives identified by the commission, by crafting research proposals with invited scientists and managing research to incorporate projects’ advisory committee recommendations. Part of her responsibility is advising scientists by sharing table grape industry perspective and production practices, through participation in NGWI-supported and SCRI-funded projects’ industry advisory committees. Prior to joining the commission Franka worked at USDA – ARS as a Plant Pathologist, conducting research on preharvest and postharvest diseases of table grapes and citrus, and the impact of treatments on fruit quality. Since 2008 Franka has been serving as an Associate Editor for the Journal of Plant Pathology. Franka’s activities for the SCRI “Efficient Vineyards” project include providing strategic research direction, coordinating the table grape research portion of the project between researchers and growers, and assisting with crop size/color and canopy data collection. Luis Sanchez is Principal Research Scientist with E&J Gallo Winery at Modesto, California where he has been since 2004. He has worked on many research projects on irrigation, mineral nutrition, extended maturity, aroma development, bud fruitfulness, and crop forecasting. More recently his projects have focused on the assessment of vineyard variability and establishing the ground work for precision viticulture, using many tools such as GIS, remote sensing, yield monitors and variable rate irrigation. Luis Sanchez has a degree in Agronomy from the National University of Colombia, an MS in Plant Science from UC Riverside and a PhD in Plant Biology from UC Davis. His experience in research and consulting is very diverse and includes breeding and cultural practices in major and minor tropical fruit production, integrated pest management in citrus, avocado, grapes and vegetables, breeding in dry beans and guayule, consulting, sales and networking with agribusinesses in Latin America, winemaking and vineyard employee education.